Today we were extremely fortunate to have Woodrock Animal Rescue visit our school. They brought with them 6 small dogs (5 puppies and 1 in a wheel chair) and allowed each class to interact with them. We were also lucky to listen to a presentation in the Theatre from Stella and Nicholas, where we learned about the amazing service work Woodrock Animal Rescue does, rescuing dogs within our community. 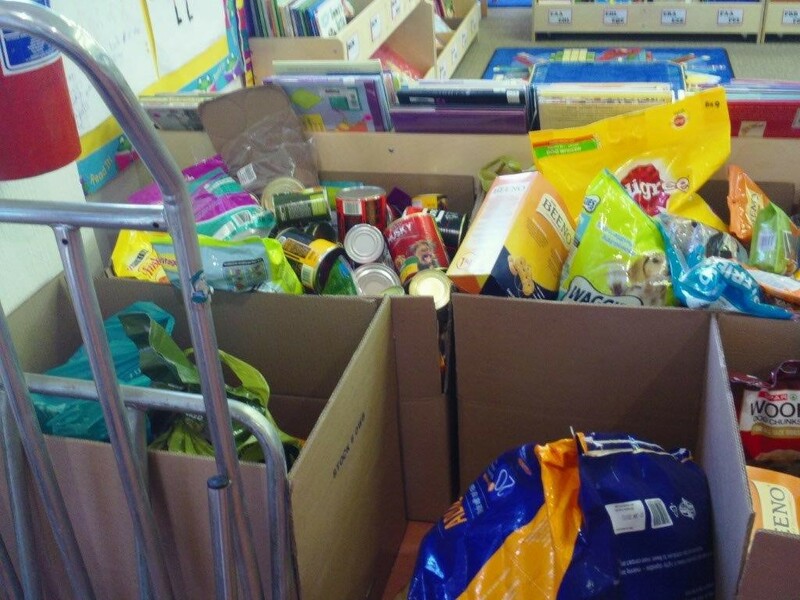 Thanks to your support, we were able to donate a large amount of dog food to Woodrock as our students collected this throughout the week. 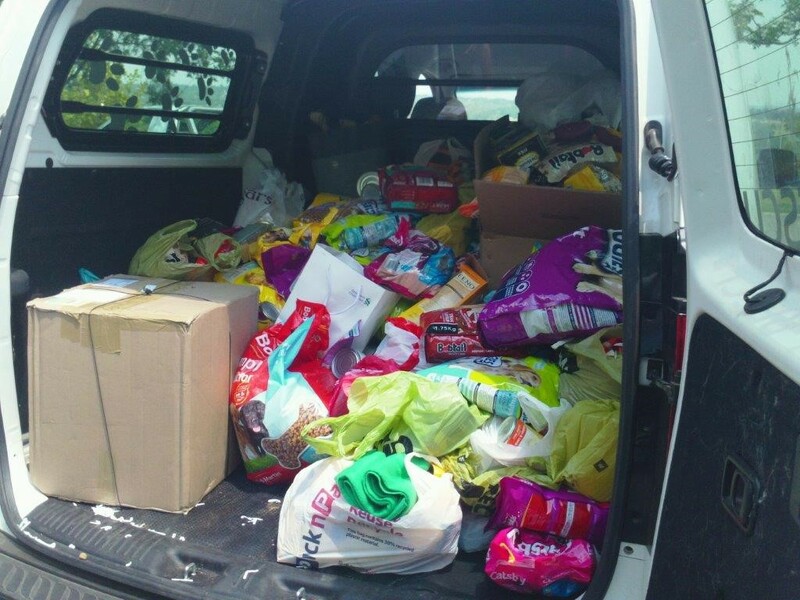 In fact, we needed a second bakkie to transport all the food back to their shelter. I would like to say a huge thank you to Becci Monge, Noor Peek and Tara Barton (our Service Learning Coordinator) for organising this initiative. Without their leadership and enthusiasm this event would never have been possible and we are so thrilled to be able to support and partner with such a worthy organisation. Becci spent the entire day explaining to each class how the dogs get looked after and how to interact with small puppies. It seems so long ago since we were all in the theatre watching the ‘Alice’ performance. What an incredible show!! Thanks to all of you for coming out to support the students on stage and behind the scenes. We sold close to 900 tickets for both performances. Many students have said how sad they feel now it is all over, I know Mr. Robert is severely depressed. He is already planning next year’s performance. This afternoon our Grade 5 students arrived home after 3 nights at Maraneman on the Vaal. We were truly impressed with the way our grade 5 students conducted themselves. This years’ group of Grade 5 students have such a strong sense of community and it was great to see them supporting each other and enjoying being together. For several students, this was their first time away from home, and for some, they only arrived to AISJ in January. We are so proud of these students for being Risk Takers and for making the most of this opportunity. A huge thanks to the Grade teachers: Ms. Vicente, Ms. Chadderton, Mr. Shelley, Ms. Kingston. Ms. McGlothlin, Mr. Robert. They went over and above to make this a wonderful opportunity for our students. See information on Board Elections. Next week it is Grade 4’s turn to go on camp. We wish them well as they head to Ukutula Lodge on Wednesday morning, returning Friday afternoon. Fast approaching is the PK-2 Sports Day on Friday, 24th Feb. This year, we are including the PreK classes in the event and hope that they will enjoy the day as much as the older kids do. We have shortened the program this year. The event will begin at 8:15am when everyone heads down to the field and gets ready in their teams. They will post four items -- it’s only a sneak peak of what’s to come. A. Feb 8th – 15th: Online Silent Auction via Facebook (sneak peak of 4 items) Closes at 8 pm Feb 15th. B. Feb 16th-17th: LIVE Silent Auction at Pretoria Campus— from 2:30 pm-3:30 pm (parent pick-up) both days! 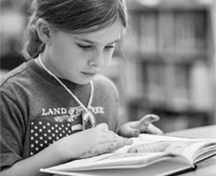 You can continue bidding on four items + class artwork from each grade Early Childhood to G5! C. Feb 18: FINAL LIVE Silent Auction at the 007 Glamour Around the World event! Ensure you don’t get outbid and come out to the event. (R300 ticket per person – pay at the front office for Pretoria Parents & JHB parents can contact Joy Meglasson @ joymeglasson@gmail.com.) The auction will close at 10 pm.